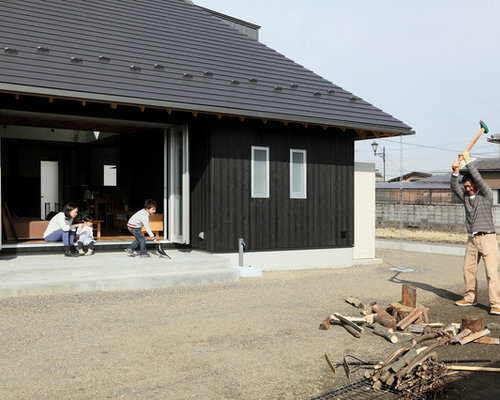 "Family can live in closely , Meanwhile family can have Privacy"
In this project , We tried to create spaces which have openability and independency. 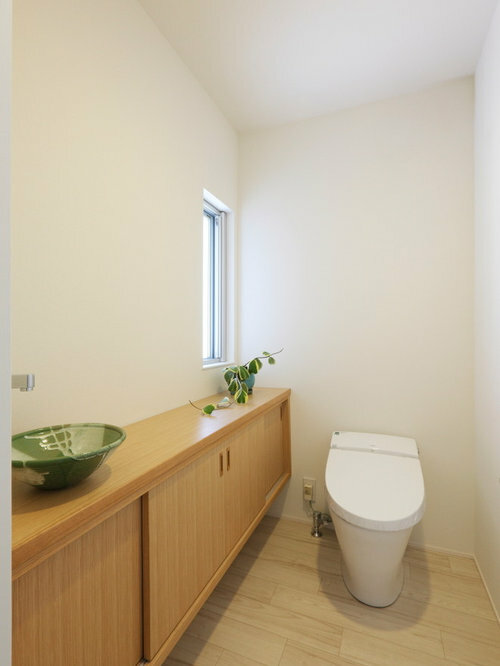 So we considered that simple composition. 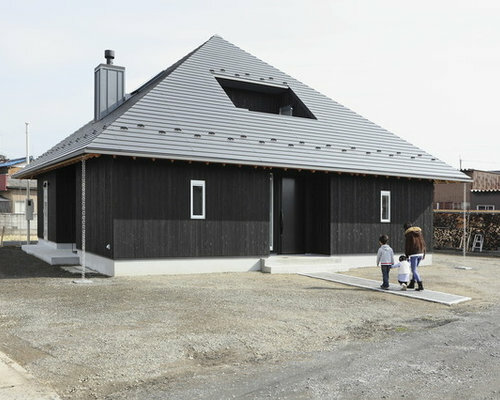 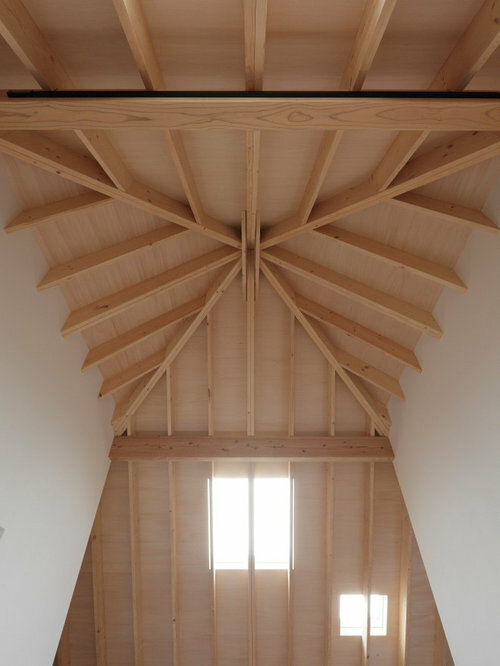 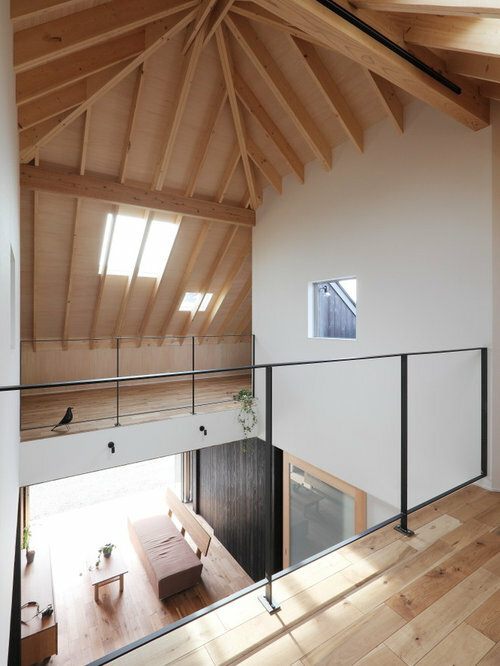 First , creates a core part in the four corners of the space , and put a large eaves there. 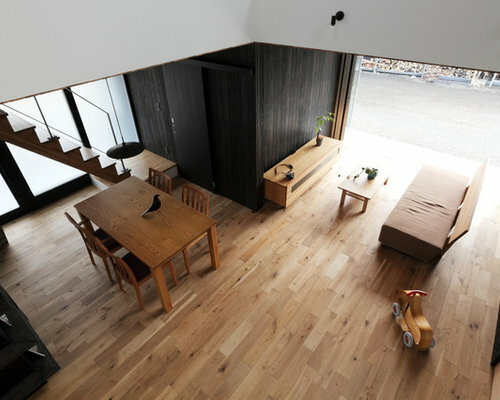 Sturdy appearance enclose gently internal space , also it blend in with its surrounding. 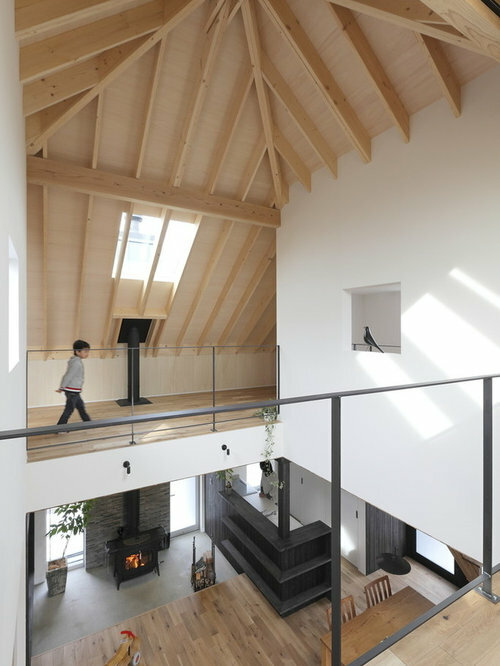 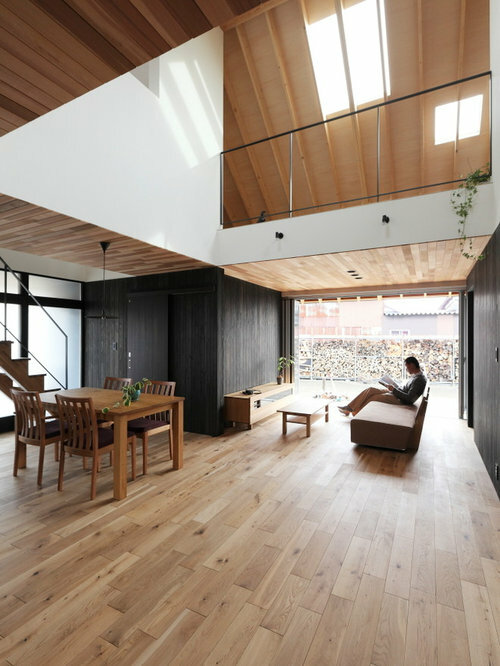 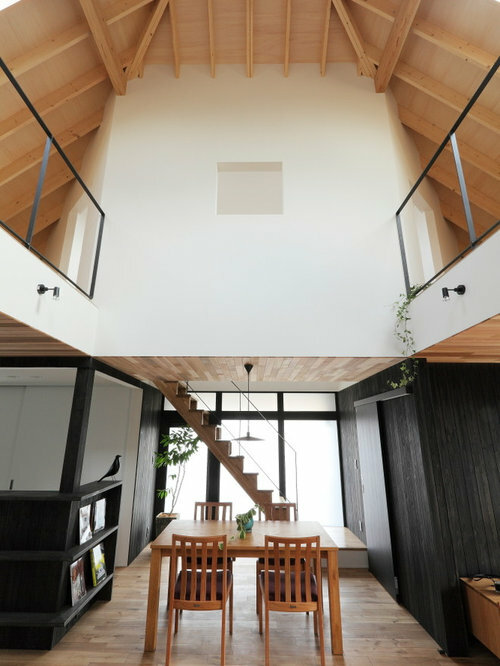 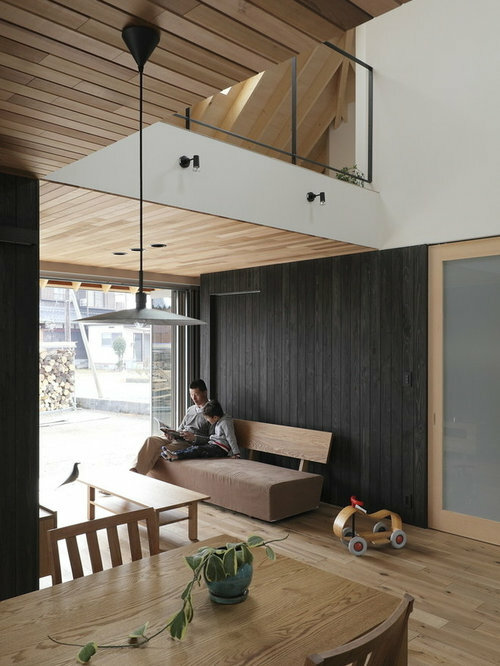 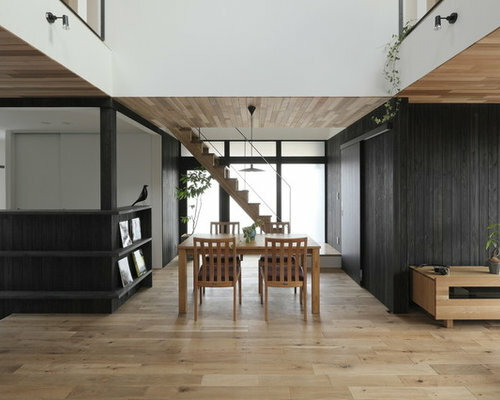 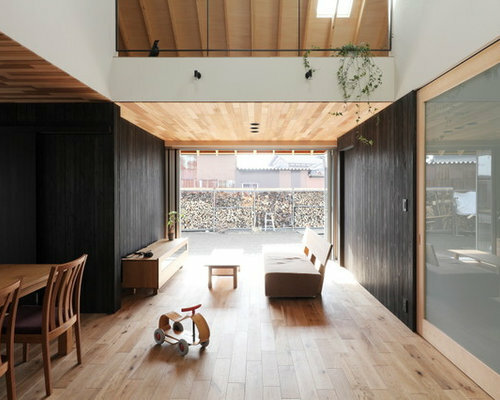 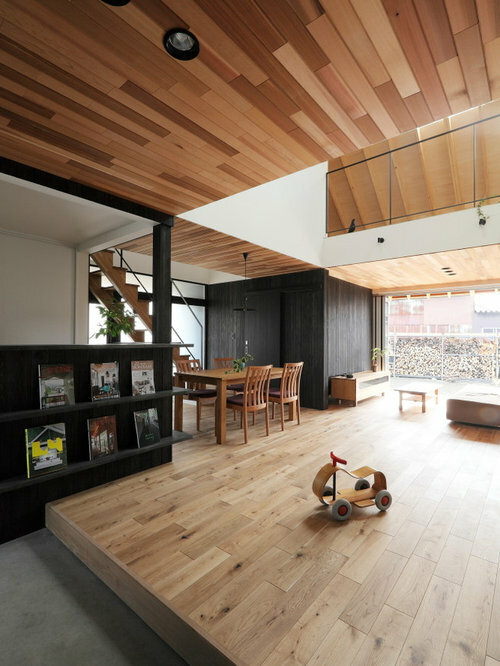 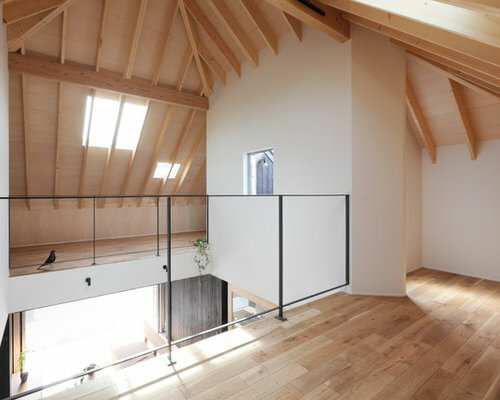 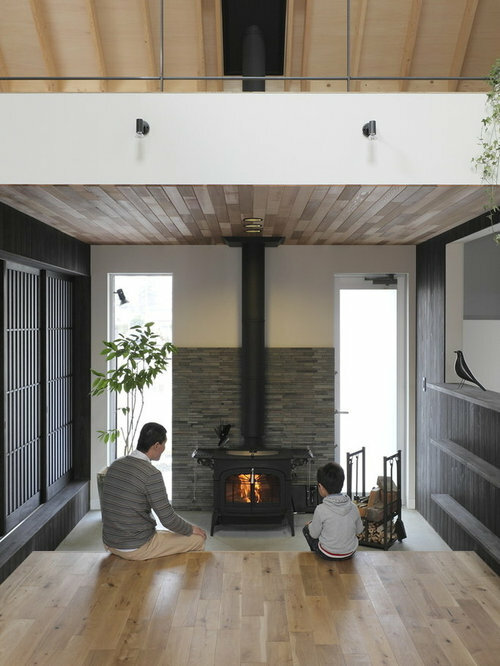 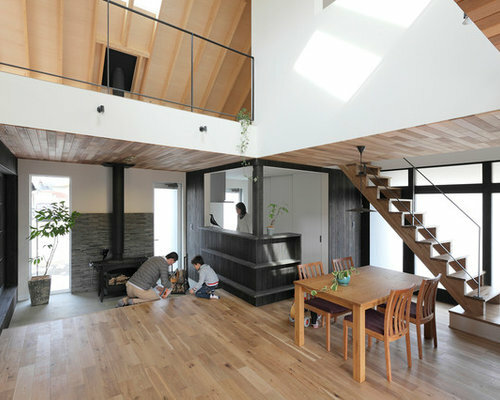 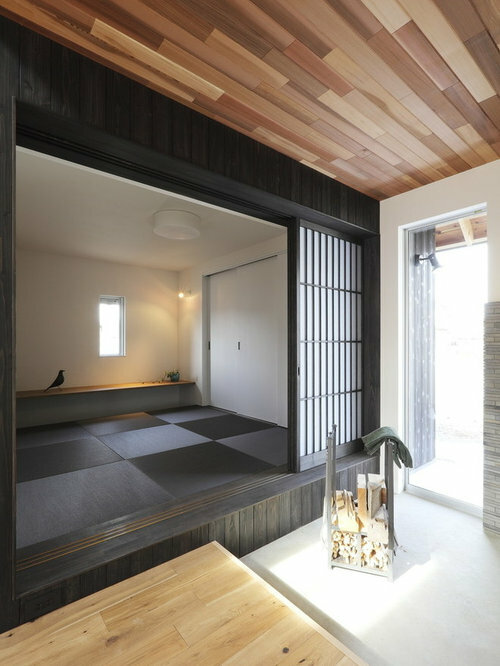 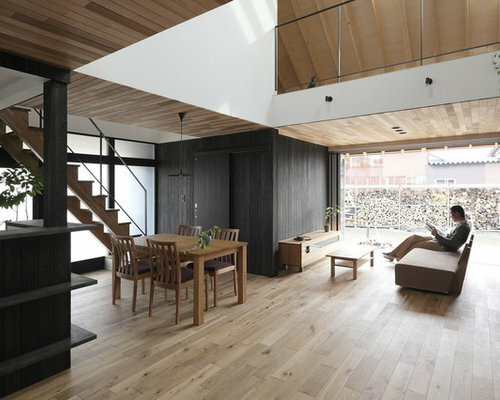 Core part space retain necessary function of privacy , gradually connect other space , and made atrium in the center of the house. 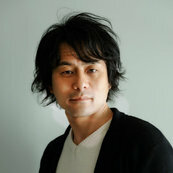 We have achieved that to create both side of the independency and the openability that way. 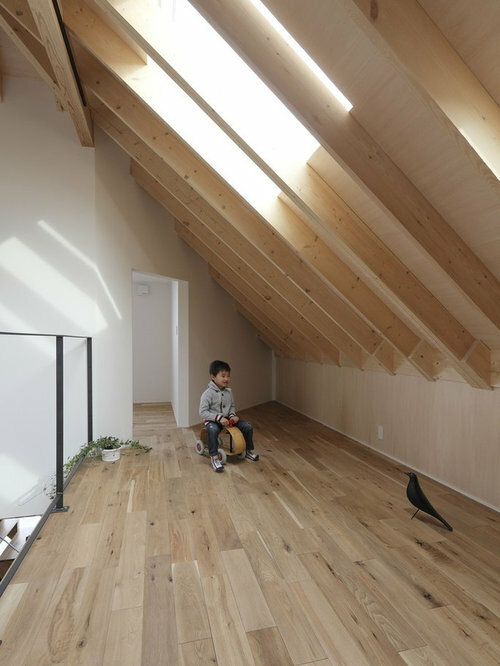 Upstairs free space can be altered easily according to a change in family's life style. 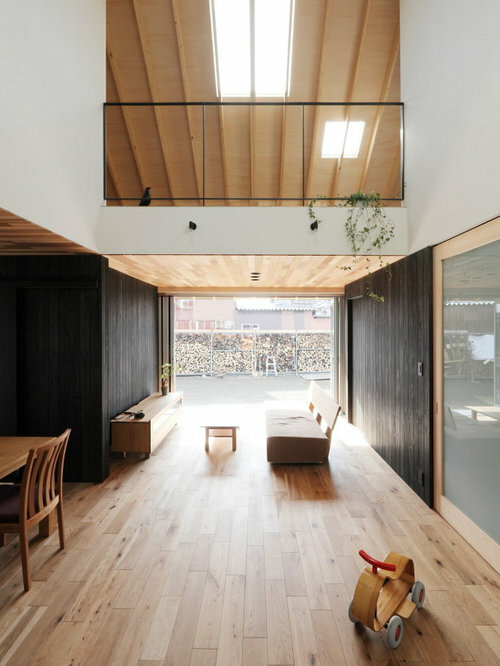 In addition , this large eaves block the harsh summer sun , and take in warmly winter sunlight. 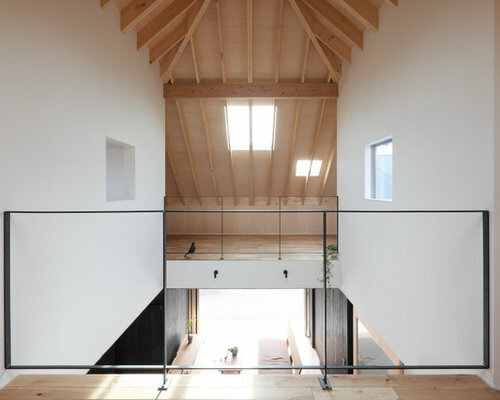 We're sure that this large eaves which make them aware of "ties"again.